It’s no secret that technology and, in particular, mobile phones have changed the way events are run. I’ve even spoken about using technology to enhance an event previously, including the use of hashtags and social media. This technology means that it’s now even easier to create a buzz around your event, attract more attendees, enhance their event experience and even keep them talking about it once they’ve arrived back home – just what you want as a start-up or small sized business! While Facebook and Twitter apps are commonly the first port of call when utilising mobile technology, one app that’s rising up the ranks is the social network Instagram. We call it a social network because, while it started life as a simple way to edit and share pictures, it’s quickly grown to become just as viable a promotional platform as its more famous counterparts. That goes for a whole variety of events too, from charity functions, golf tournaments and networking events to product and start-up launches. 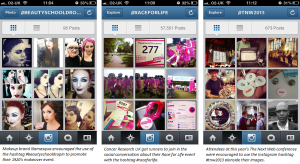 So how can you utilise Instagram to enhance your next event? Just like Twitter, Instagram is another platform that places great emphasis on hashtags. They work in exactly the same way as they do on Twitter (by collecting every image posted using a particular hashtag in one place), and can be just as beneficial to your event. You can see just how many images they can gather above. First however, you need to make all confirmed and potential attendees aware that you’re using one. Mention the hashtag and your Instagram handle in email correspondence, blog posts and other social media updates to reach as many people as possible. You could even go one step further and draw up the hashtag in Photoshop in an attractive font, before posting it to your own Instagram feed with a caption calling on attendees to utilise it themselves. Next, you can move onto using the hashtag for promotional purposes. 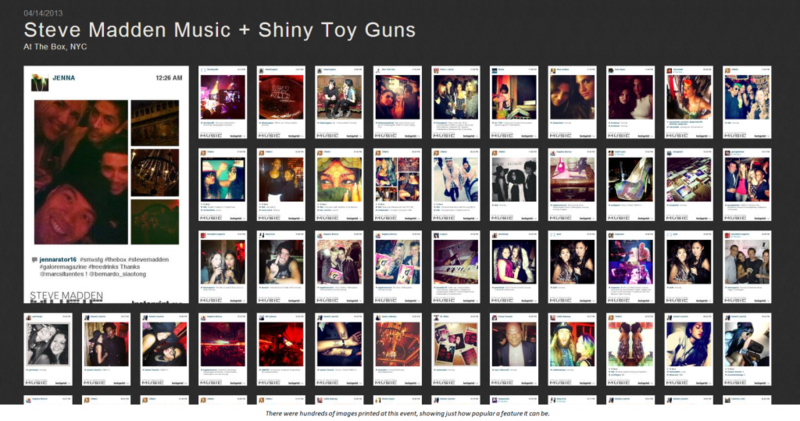 Encourage attendees to post any images relating to your event alongside the designated hashtag. Whether it’s a picture of them carrying out their own preparations or sat on a train on the way to your venue, this is a great way to both raise awareness of your event and build up excitement on the day. Request that any speakers or staff members post hashtagged images too. This gives attendees a great insight into what’s going on behind the scenes and provides a nice teaser of what’s to come. Take pictures of speakers and upload them to your own Instagram stream with a small bio in the caption. As well as a great way to introduce those who will be speaking, it gives attendees an advanced insight into what they can expect to hear from them on the day. Utilise this same hashtag across your other social networks (such as Facebook, Twitter, Google+ and Pinterest) to provide continuity and avoid confusion among anybody wanting to post event-related updates, or track down event-related news. While it’s possible for virtually anything to look great when edited with an Instagram filter, you should still put considerable thought into the kind of images you post. You know what they say; a picture is worth a thousand words, so make the most of using your images to create a buzz around your event. Post photos giving a sneak peek into what it will feature, photos of you preparing and setting up on the day and even of you packing away at the end. And as for during your event? Upload snaps of your speakers in action alongside a caption that explains what they’re talking about, your buffet ready to be tucked into (if you’re serving food), the products or services you’re launching and even pictures of attendees. Chances are they’re using Instagram too, so don’t be afraid to tag them into the picture caption to make them feel more involved. 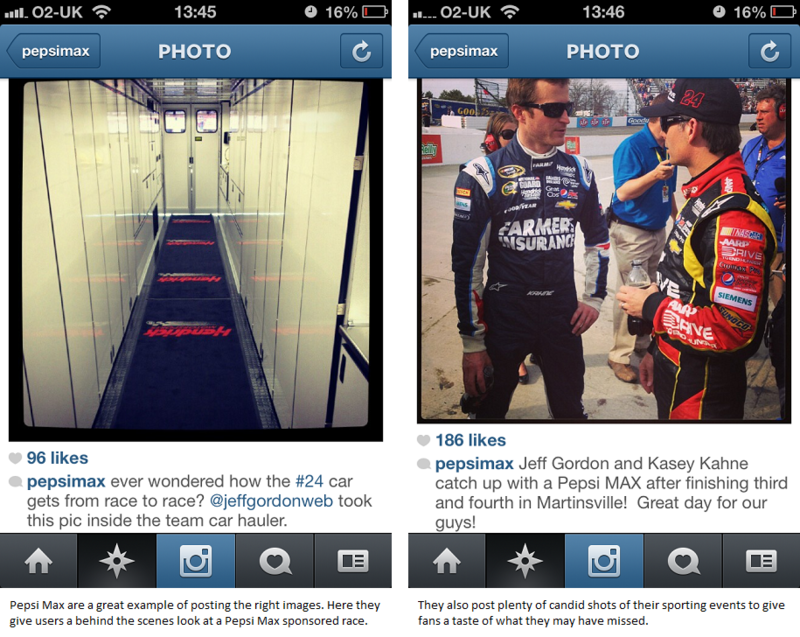 The picture above shows how Pepsi Max got creative with their Instagram pictures. As well as taking ‘behind the scenes’ shots and more candid images, they’ve even tagged the team member who was behind the camera into the image caption. While using a hashtag and taking interesting pictures might seem pretty straightforward, there are also ways in which Instagram can enhance your event yet further. While Twitter has tweet walls, Instagram has its own version in the app Eventstagram. Developed specifically to help enhance the event experience, Eventstagram allows users to sign up for free and create a slideshow of Instagram pictures featuring their event hashtag. Then there are quirkier things like Instaprint. Compact enough to just place on a table, each Instaprint box will print out any image tagged with your events location or hashtag, giving attendees a nice little keepsake to take away from their day. 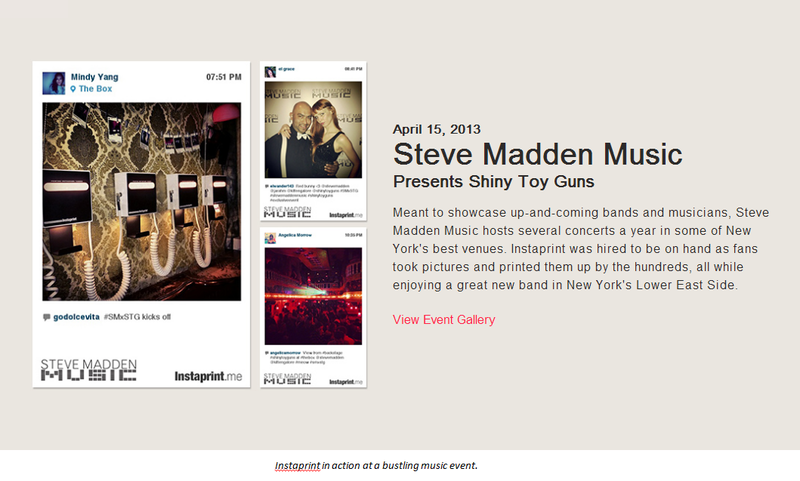 You can see Instaprint in action at the recent Steve Madden Music event in the images below. 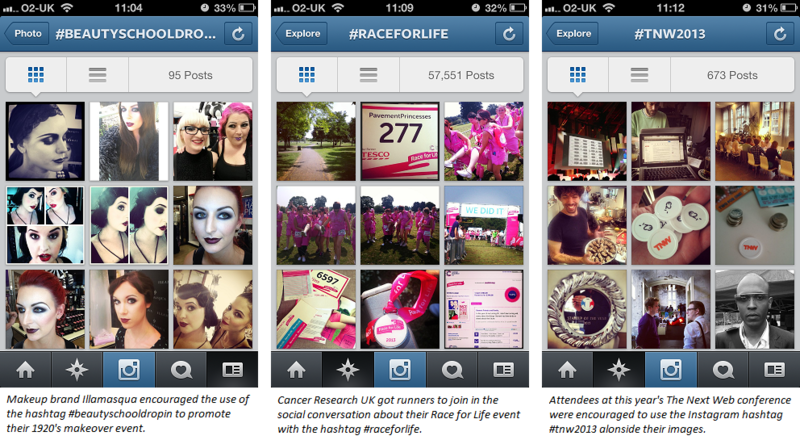 If you want to create even more excitement however, you can even utilise Instagram to run competitions in the run up to your event. For example, if you have a company mascot then why not hide it somewhere in a picture, and award the delegate who spots it with a bottle of wine or a hamper on the day? Don’t be afraid to get creative, it’s a great way for start-ups and smaller businesses to create some much needed buzz! Have you ever used Instagram to enhance one of your own events? Let us know below! Jo Egan has been a Partner at Hotel Desk, a UK based venue finding agency, for 11 years. Prior to that Jo worked on events on the client side for corporates including RBS and Volvo Cars. Hotel Desk provides free venue finding services for meetings, conferences, events etc, to many corporate clients and their specialisation is the volume of venues and hotels they book internationally as well as the UK.